Rutter Armey, Inc. opened its doors in February of 1941. 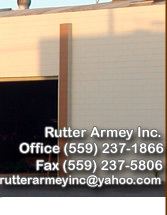 Since it's beginning, Rutter Armey, Inc. has grown into one of the largest and most modern machine shops in the San Joaquin Valley. 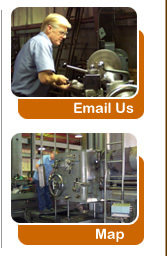 Our personnel are skilled craftsmen in their individual fields of expertise. Their "know how" combined with our modern machinery, assure our customers of the finest services and products available anywhere.